Purchasing a home in the Caribbean can be the perfect way to escape from the chaos of everyday life, avoid colder weather, and lead a healthy, active lifestyle. With a stable government and healthy economy that’s always growing, the Dominican Republic has become a popular destination for retirees, veterans, entrepreneurs, and plenty of other expats looking for an affordable slice of paradise. If you’re considering making the move to Island living, below are 5 reasons the DR should be at the top of your list! It’s hard to beat the mileage of your dollar in the Dominican. From real estate to the general cost of living, your budget goes a long way towards affording a very comfortable lifestyle. Owning your home reduces monthly costs, as well as gives those who choose to snowbird the option to rent out the property during their time away for extra income. At Casa Linda, we offer custom villas and condos at a variety of price points to ensure that living out your dream of a tropical escape is an easy, affordable reality. Life in the Dominican may be laid-back, but by no means does that mean you have to worry about being bored. With a vast array of shops, activity centres, theatres and other cultural venues at your fingertips, there’s always something new to discover. The large community of expats on the Island makes it easy to find new friends and get a little taste of “home” whenever you wish. Our large expat community means you can also expect to find many of the familiar comforts of home, including your favourite stores, cafes, and grocery items. The Dominican Republic is one of the most advanced islands in the Caribbean in terms of communication systems, overall infrastructure, and healthcare. World-class medical facilities and healthcare providers ensure you never have to sacrifice quality where it matters most, and eight international airports make it easy to travel between the US or Canada if needed. While it can be challenging to obtain residency status in many locations around the world, this simply isn’t the case in the DR. The Dominican Republic welcomes new residents and has a straight-forward application process that makes it is easy to get settled in your new home. Dreaming of living on Island Time, but not quite ready to give up the hustle? That’s okay! The Dominican Republic values foreign entrepreneurs and investors and has several tax incentives that make it easy to set up base. Are you ready to call one of the friendliest, warmest, and beautiful corners of the world home? We can help make your island dreams a reality. 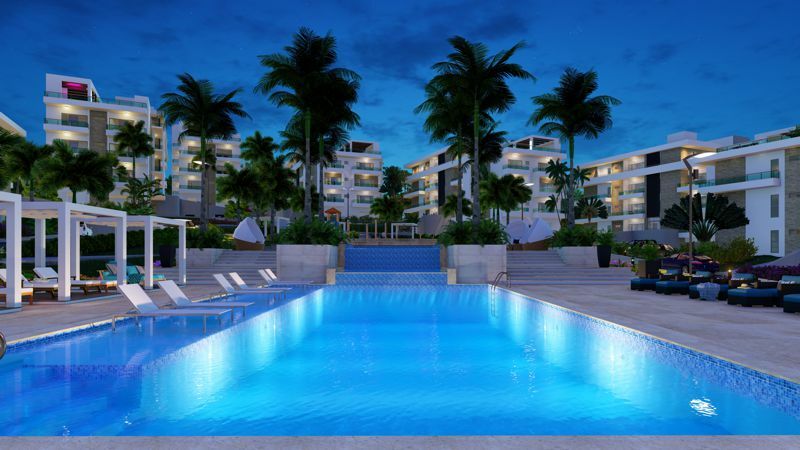 View Casa Linda’s condos and villas for sale, or contact our team directly for more information today!